"Grained calfskin glasses case in 'powder' blue. Lacquered edges in black. Foldover flap with press-stud fastening. Gold-tone logo stamp at interior. Tonal calfskin lining. Tonal stitching. Approx. 6"" length x 3.25"" height." 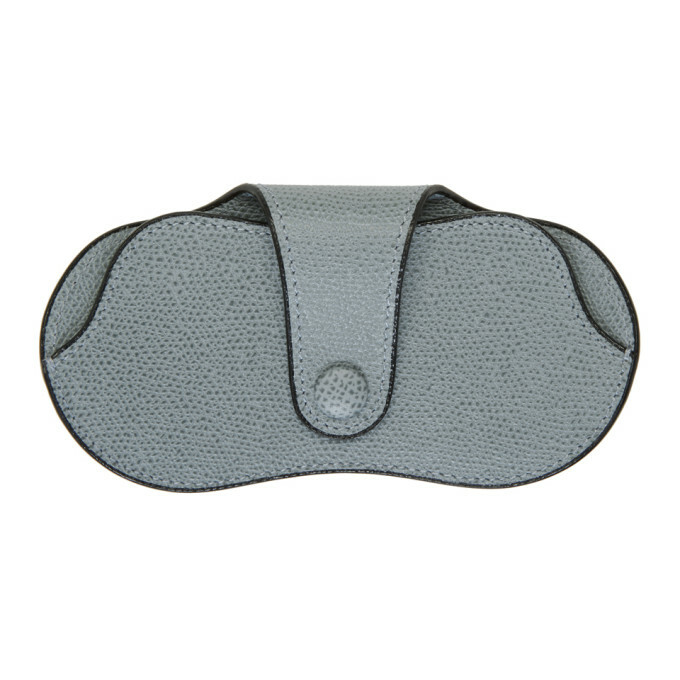 "Grained calfskin glasses case in 'dust' blue. Lacquered edges in black. Foldover flap with press-stud fastening. Gold-tone logo stamp at interior. Tonal calfskin lining. Silver-tone hardware. Tonal stitching. Approx. 6"" length x 3.25"" height." "Grained calfskin glasses case in 'grass' green. Lacquered edges in black. Foldover flap with press-stud fastening. Gold-tone logo stamp at interior. Tonal calfskin lining. Silver-tone hardware. Tonal stitching. Approx. 6"" length x 3.25"" height." 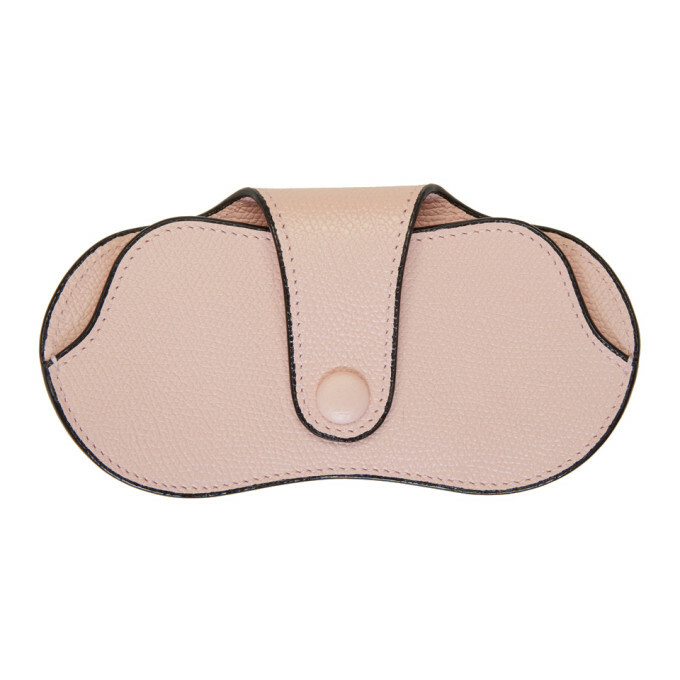 "Grained calfskin glasses case in 'peony' pink. Lacquered edges in black. Foldover flap with press-stud fastening. Gold-tone logo stamp at interior. Tonal calfskin lining. Silver-tone hardware. Tonal stitching. Approx. 6"" length x 3.25"" height." "Grained calfskin glasses case in red. Lacquered edges in black. Foldover flap with press-stud fastening. Gold-tone logo stamp at interior. Tonal calfskin lining. Tonal stitching. Approx. 6"" length x 3.25"" height." "Grained calfskin glasses case in 'Havana' tan. Lacquered edges in black. Foldover flap with press-stud fastening. Gold-tone logo stamp at interior. Tonal calfskin lining. Contrast stitching in blue. Approx. 6"" length x 3.25"" height."